Wholesale Canning Jars. 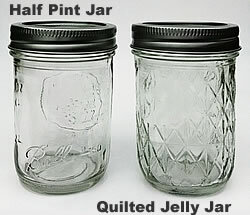 Call to order large wholesale qualities of all sizes of ball canning jars. Canning Jars sold by the pallet are an economical way for your church, club, business or organization to purchase the jars you need for your next fund raising project, community project, school project etc. We offer Ball jars in all of the popular sizes. All of these jars will come with lids and bands so there's no need to purchase them separately.